Far Eastern Agriculture is the only broad based agricultural magazine covering the entire region by reviewing the changing patterns in farming throughout South East Asia. Machinery and equipment, grain and crops, irrigation, agri-chemicals, livestock breeding and processing are all featured in depth, with regular coverage of news and events in each product area. 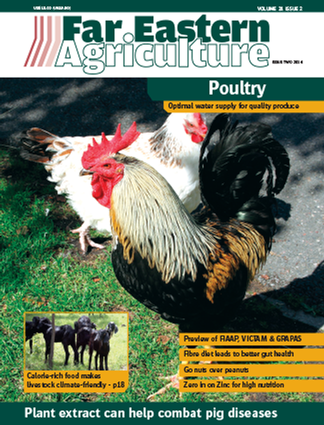 I want to subscribe Far Easter n Agriculture for one year so send me a sample copy andorder foam.